Here we have photographic proof of one of my biggest mistakes to date. I stupidly, stupidly wore open toe shoes in Scotland in January and thought I'd be ok because I had fishnets on. What. A. Fool. Roughly half an hour after these snaps were taken I lost all feeling in 8/10 toes and had to take refuge in a local cafe where I briefly considered pouring boiling hot tea over my feet in order to revive them. Not a high point, I must say. Still, we live and learn and my top half was very warm in this big H&M fur. I spotted a woman at the airport wearing it but she looked stressed and was half-running half-walking to a gate so it didn't really seem like an appropriate time to shout, 'WHERE'S YOUR JACKET FROM'. But my prayers were answered when I spotted it in H&M the next week hanging there looking lovely (it was the last one left and it was my size and I absolutely love when that happens because I can pretend it's fate and that I'd be doing the universe a disservice by not buying it). Anyway, I apologise for going a little awol this week - I was in New York until Friday and am off to London this morning for an exciting shoot so it's been aaall go. I've got a good few posts coming this week to make up for it though, promise. Oh my god poor you! At least the outfit is fab though! 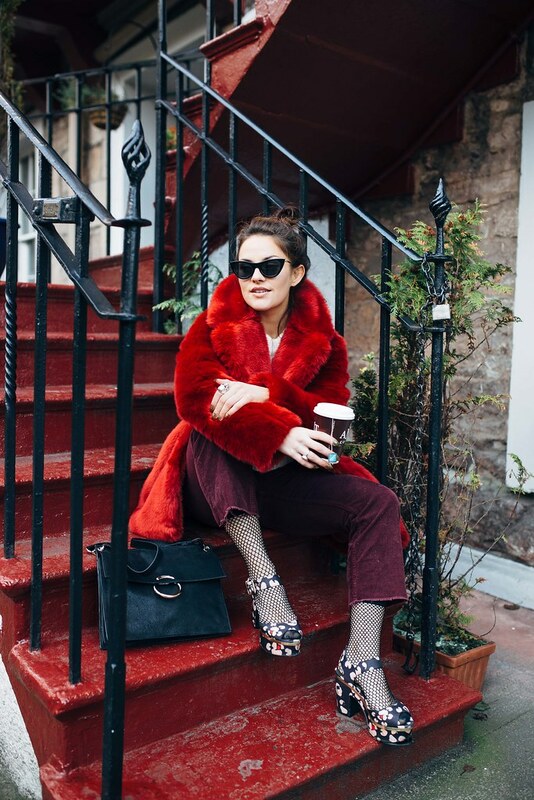 Love love your coat! 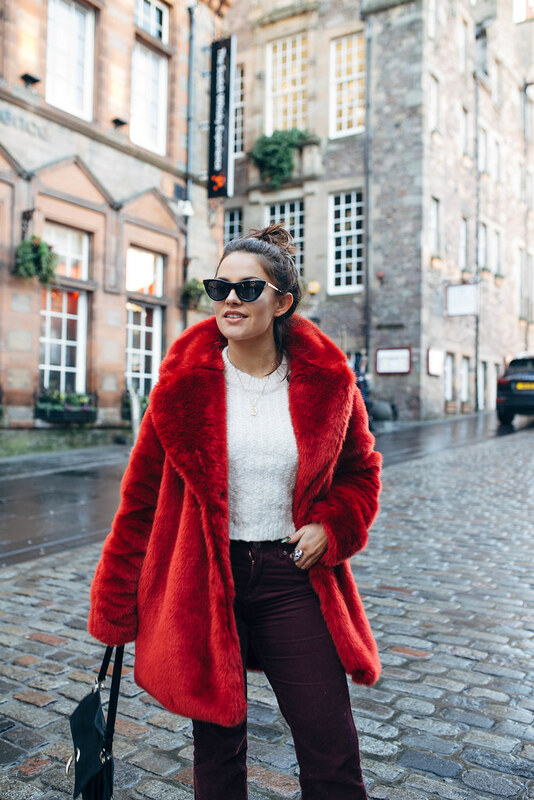 Love love love your red faux fur coat, you look gorgeous!